Luggage storage Amsterdam. Why carry bags and suitcases? 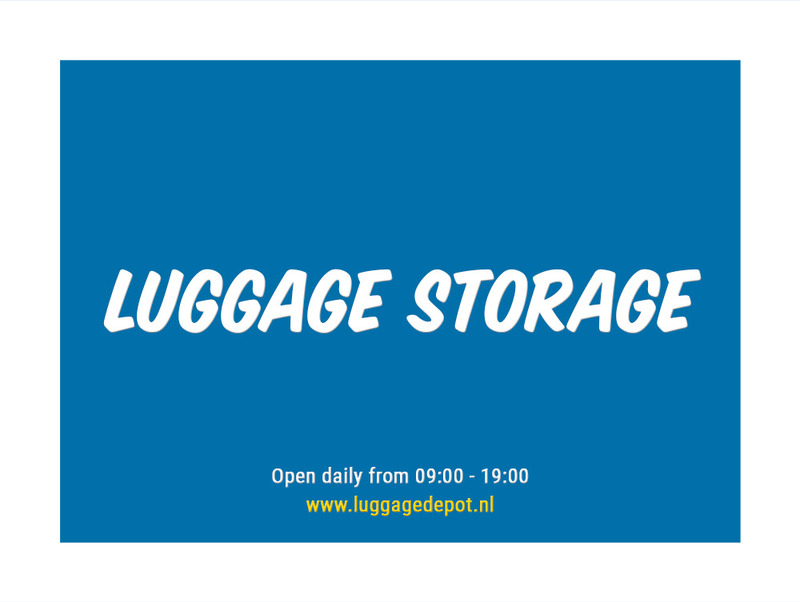 Luggage storage Amsterdam — Why carry bags and suitcases when you're in town? Store them safely at our place and have a great time in the city. 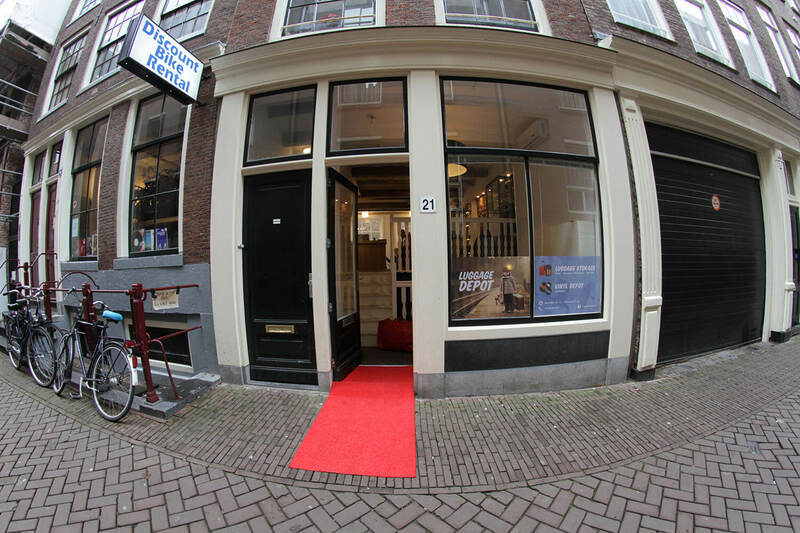 Book NOW and no waiting lines to store your luggage in the centre of ‎Amsterdam. Have peace of mind while enjoying another day in the city. Our prices are 24 hours rates. Please bring a passport for identification and we take care of the storage. Luggage is insured up to €1.000 but please read the small print of our terms and conditions. Shopping Bags store up to two shopping bags. Our strategic partners provide popular top quality services and offer valuable discounts to clients of our luggage store Amsterdam. Sandemans New Europe offers free walking tours. Explore Amsterdam with an expert local guide full of passion for the city. In 3 hours you will walk through the Dutch capital, which will allow you to make the most of your stay! Passionate guides will walk you through the history of Amsterdam, from its start as a muddy village on the River Amstel, to becoming the most important trading city in Europe. Our neighbours, Discount Bike Rental simply offers a good bike at a discount price. Decent bicycles for all sizes in ordinary colours. The rental starts when you pick up the bike. If you keep the bike overnight, we charge per 24 hours, not by calendar day. If you keep it longer than 24 hours, we won’t charge an additional full day, just a half day more until closing time at 18:00. Peliqan is a tourist platform that redefines tourism. From the moment you arrive at Schiphol Airport you can use Peliqan for everything you need during your stay in Amsterdam. Tourists want to fully experience Amsterdam, but unfortunately the most popular attractions are very busy and mostly sold out. Just book your tickets through Peliqan’s easy 4-step booking engine and show up in front of the line at your booked time. KILLACUTZ Record Store is specialized in all types of Electronic music like Chicago House, Detroit Techno, Deep House, UK Tech House, Garage, Drum & Bass etc. In our collection of more than 3.000 records, you can also find some nice represses, as well as classics of Pop, Rock, Soul, Funk, Hip Hop, Jazz and Reggae. If you want to order with us online, please check our Discogs page. Between Amsterdam Central Station and Dam square, right in the middle of city centre, you’ll find our luggages storages. When visiting Amsterdam it’s advisable to use a storage for luggage if you decide to explore the city while being unable to use a hotel room or apartment for leaving your personal belongings. It’s just easier to explore the city without bringing your bags and suitcases. Storing luggage in Amsterdam is a good idea to prevent your luggage being stolen by thieves and pickpocketers. Amsterdam is full of trams, cars, bikes and people. Walking around with suitcases and backpacks is not the most convenient way to go. Sometimes you arrive too early to enter your hotel room. In stead of carrying your luggage through the streets, you can store it and maximize your stay in town. Sometimes your flight is at the end of the day but you already have to leave your hotel in the morning. Luggage storage allows you to enjoy another day in the city. Spending your cash and credit on shopping easily results in a bulk of bags that you need to carry with you. Coming to dive into the Saturday nightlife of Amsterdam is a joy and adventure. Sunday mornings from 09:00 you can pickup the luggage which you have stored at our depot. Where can you better eat than at the places where we like to eat ourselves? 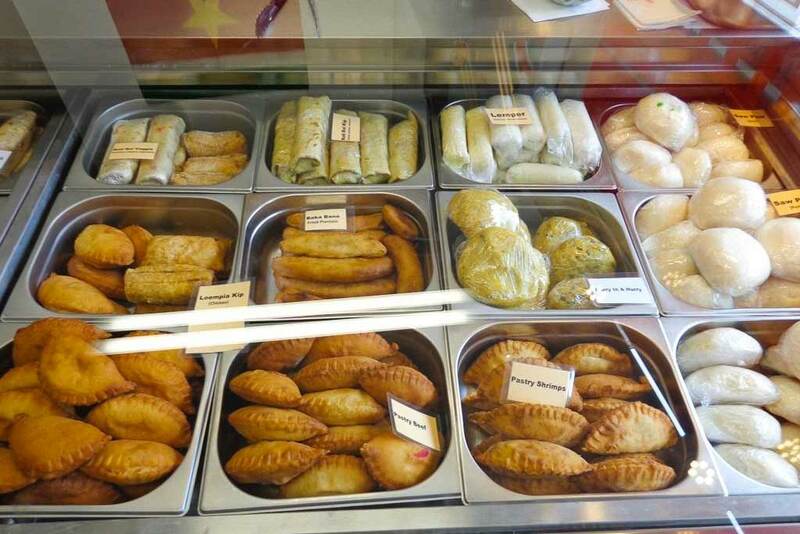 Close to our shop there are some superb cafes, restaurants and take-outs where you can order delicious food. 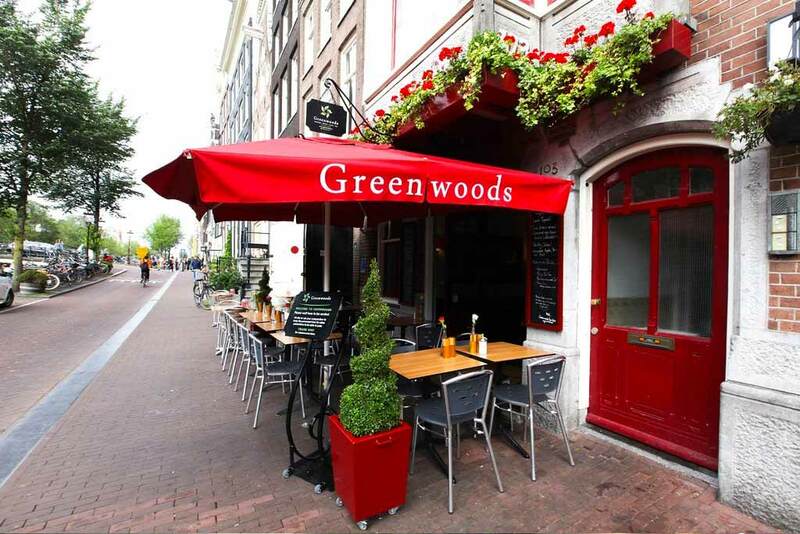 Go local when you want to grab a bite in Amsterdam. 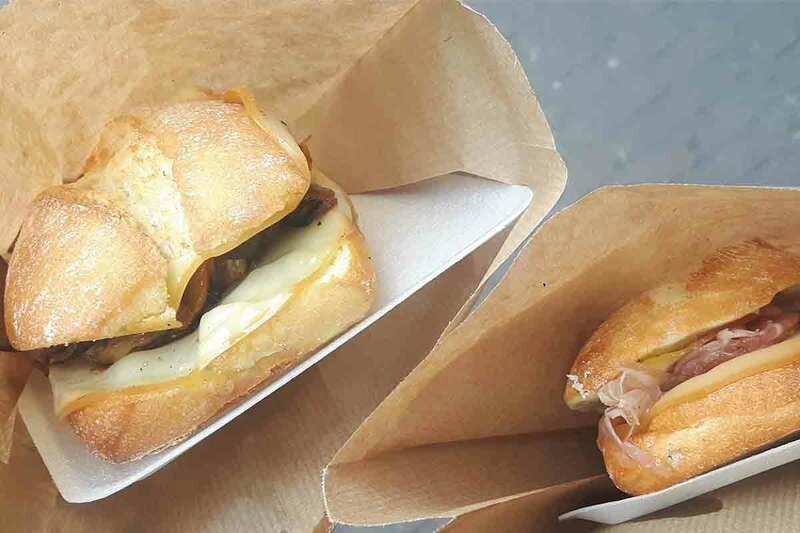 Here is where you can taste the real Italian food, it’s a little fast food, with inside a lot ingredients to make the best panini in Amsterdam. Hidden, small, cosy, comfortable, unassuming, delicious, friendly. 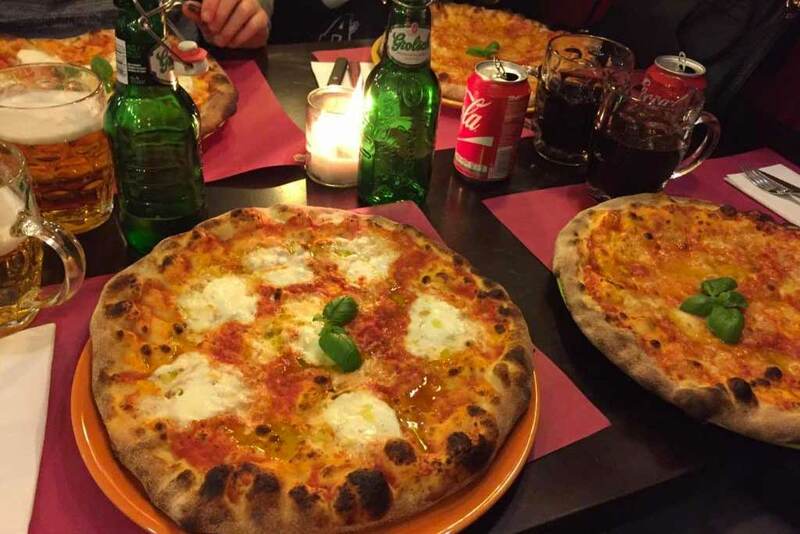 Small but typical and authentic Italian pizzeria, pizza only and they are brilliant. Service with a smile, authentic and fresh food, a lot of choice, but no overkill. Just a wonderful place to go for your lunch or a quick diner. Small restaurant with a terrace by a canal. Very efficient service and extensive menu. The salads are stunning and the house detox drink is simply fantastic.